This server is now open for the public. This thread remains open for discussion about the TnFC server. 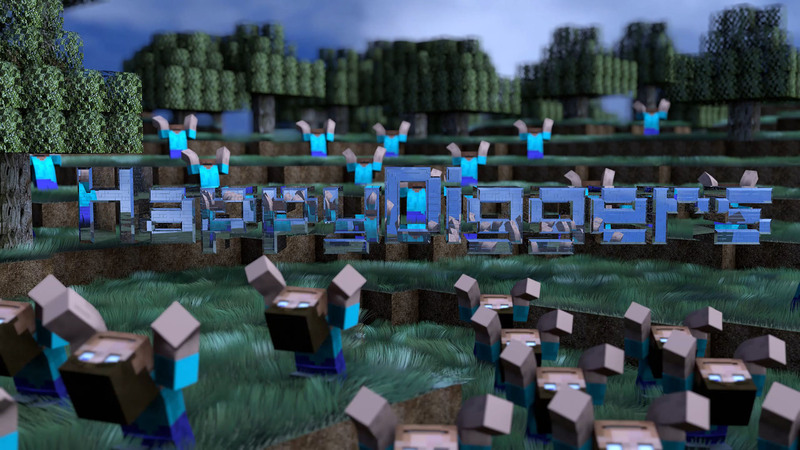 Work has begun on a new public HappyDiggers TnFC server. As some of you may know we already host a Donor TnFC server which is currently outdated. The new public server will be replacing the Donor server. And as the name suggests, no donations are required for joining this new server. The next step will be to start play testing. Play testing should start in one or two weeks. For this I'm looking for a couple of volunteers. Preferably veterans of the official TnFC server. Play testing means we'll spawn in a bunch of resources and player will have to sprint through the various tech trees to figure out what works and what doesn't. No time for exploration and base building at this stage. Just setting up machines, testing mechanics, that sort of stuff. We'll require people to leave a short summary or report of each play session. Nothing too complicated. Just what you did and if it worked or not: build machine X, tried mechanic Y, etc. If anyone's interested please leave a reply and tell us about your experience with TnFC and if you're willing to do boring test work. Again, we are not looking for players at this point. If you want to play TnFC on our server, please be patient. Although, if you do it in 2 weeks, I will not be able to play on weekends, only weekdays (I'm away from home two first weekends of December). On weekdays I can normally play about 5 hours a day. So if somebody with experience and more time volunteers, I'll pass my slot to them. I've played on one publicly hosted TnFC (not official), we got together with my hubby (otherwise known from Ark as Bob ) to the end of almost all tech mods. I've played on two incarnations of official map (alone this time), mostly focusing on Mekanism and Immersive Engineering. I've got 11 days off in Dec starting 12/15. bday on the 16th and then much needed time to destroy my sleep cycle. i've gone through the basics pretty well and worked some advance stuff with LP (LarsonPacific). i will have the time and can learn on the way for what i do not know. I'm up for testing, played a bit in the tnfc and have played the pack in single player. This would be awesome! I played on the official TnFC server through to lithium evaporators, pneumaticcraft drones, a bit of bees. Boring test work? Speeding through the TnFC tree sounds like fun! Count me out. I will be available for support however. Anything we need, just ask. The reason for my wording is simple. I don't want people playing. I want them to test the game. Bases should be no more than dirt shacks to keep the rain out for example. Testers should just plunk down machines and see if they work. Try to see if the Towny protection works. See if block/machine/item interactions are properly logged. That sort of stuff. No going off exploring the wilderness and building pretty stuff. Just fast progression through the various tech trees. Also, after the testing is done, I'll uploading the world fresh so no need to worry about accidentally wrecking stuff. I've made a bit of progress on getting the server ready. All the permission nodes, players and groups from our current server have been migrated from the flat file of PermissionsBukkit to LuckPerms database. That was quite a bit of work, but it should make our lives a lot easier in the future. Now we have 1 database with all the permission which all of our servers can use. Update the perms on one server, and all the other servers get updated as well. Next on my list will be updating Towny and Lockette to include all of the blocks we want to be able to protect from grief and/or use. That's the last big hurdle I think before people can get started with testing. During testing I think we should try to figure out how much stuff each town will be allowed to have. On TFC we have limitation on anvils, farm land, fruit trees, animals, etc. We need people who actually understands how TnFC works to help us figure out what's reasonable. Cool, would like tp help testing when ready. Try to see if the Towny protection works. try to catch me stealing. i volunteer for this. this was set to 100 machines i believe in the previous instance. this was for donor and may get out of control on freebie. i'm not tech savvy enough to build machines galore and test server functionality but it we say 10-20 people playing on freebie TnFC at 100 machines/person to check stability. Should check 50+ people as machines may be automated and left running.